Please consider the 2 hour minimum we apply to all bookings. Vans we operate are clean and well-maintained. Drivers are courteous, experienced professionals. All types of private order, small to medium size deliveries, like: single item relocations, removal of high value belongings, internet order and store purchase deliveries, student relocations, partial property removals etc. In addition, we also handle a variety of domestic property relocations. 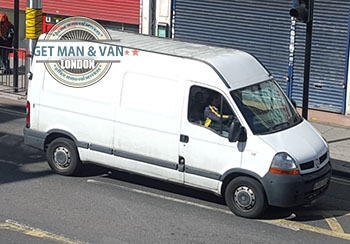 Our removal services in West Finchley are fully comprehensive and leave nothing to chance. All stages of the relocation are carried out with the due precision and efficiency by teams of qualified, experienced movers. For a more accurate price estimate we arrange for onsite quotes and offer flexible pricing. If necessary we can also organise for quick and safe rubbish removal either as standalone, or as part of the default removal service customers have secured with us. West Finchley Station is situated in North London, within the Borough of Barnet. West Finchley Station was opened in 1933 by London & North Eastern Railway (LNER). The station’s main aim was to serve quickly developing residential communities in the vicinity. 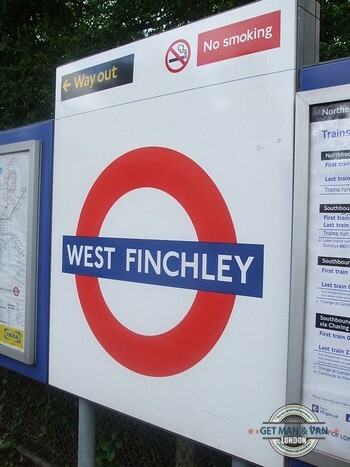 Compared to other stations in London at the time, West Finchley was a rather modest design in terms of size and layout.